Milwaukee PD is the first agency to move towards Axon’s one-stop evidence management and storage. TASER International, the global leader in cloud-based digital evidence management and body-worn video, just announced the release of Axon Interview. Axon Interview includes a dedicated interview room appliance that works in parallel with HD cameras and microphones to give the best possible video and audio quality and ultimately allows police to conduct interviews more efficiently. For $99 per month, agencies receive unlimited data storage for each camera installed as part of the Axon Interview solution. The hardware and installation fees vary by size and scale of the department. TASER will showcase Axon Interview at this year’s International Association of Chiefs of Police annual conference in Chicago, IL. Visit booth 5038 to learn more about how this new application can help unify your agency’s digital evidence. Milwaukee Police Department (MPD), which announced an order for 1200 Axon Flex and Body cameras with a five-year subscription to Evidence.com in Q2 of this year, selected Axon Interview in an effort to move to one solution for managing their digital evidence collected from body-worn cameras and interview room interviews. 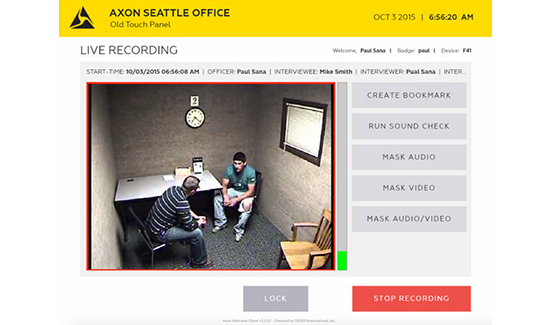 MPD anticipates utilizing Axon Interview in Q1 2016. MPD has deployed the first 200 Axon body cameras and the remaining 1,000 cameras are expected to ship by Q4 2016. Axon Interview is a simple, intuitive touchscreen interface running on a touch panel display in front of each interview room. This provides a convenient and easy place to start an interview, allowing officers to enter in the proper meta-data and complete the interview with all of the pertinent information. Once the interview is finished the video and meta-data are securely transferred to Evidence.com. Learn more about Axon Interview HERE. 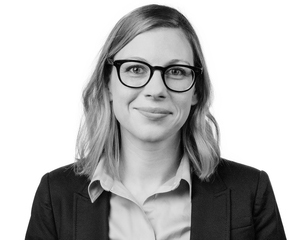 Sydney Siegmeth is the director of public relations at TASER International.